Men’s Health launched their apps in late August. And while the magazine would have prefered to have been first to market with a great health program that could have cornered the market they cover on the iPhone, they had missed their window for that. The magazine’s brand editor, Matt Bean, discussed their thoughts Wednesday at AdAge’s Apps for Brands conference in New York. “Planting their flag first helped a lot of companies immeasurably,” he said. But Men’s Health knew it needed to come up with some good ideas if it wanted to recoup the investment of creating an iPhone app. So the company decided to leverage its popular Jimmy the Bartender column into the app space. And rather than just shift the backlog of content onto the iPhone, Men’s Health positioned Jimmy to give advice to users on the go, where they are. The “Instant Wingman” tool gives tailored advice on talking to women, “Jimmy’s Best Bars” is a database of local reviews from the magazine and users, and “Win Any Bar Game” offers tips for common barroom challenges. the forums about it. I’m not comfortable with doing that at this point. And so far, the strategy is working. Over 50,000 downloads may not be record number, but it is plenty respectable. According to AdMob, only 5% of apps have more than 100,000 active users. And Men’s Health apps have only been available for about a month. 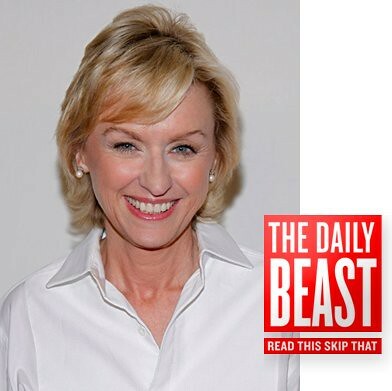 Tina Brown’s web publication The Daily Beast may not be profitable yet, but the company is hoping they’ll get a boost from the book industry. This week, the company has announced its intention to start publishing books — short, timely tomes — for fun and profit.